Granting access from here to there, a bridge spanning water can seem rather stoic amid the comings and goings of travelers above and the moving currents below. It can appear as if it is alert, as if bracing for the next storm or flood of vehicles. Some would say that each bridge has a personality. Harboring a secretive past of romantic rendezvous and military maneuvers, an antique bridge that occupies an ancient crossing emanates a mystical aura, while the newest modern marvel perhaps exudes the energy of high-speed commerce. 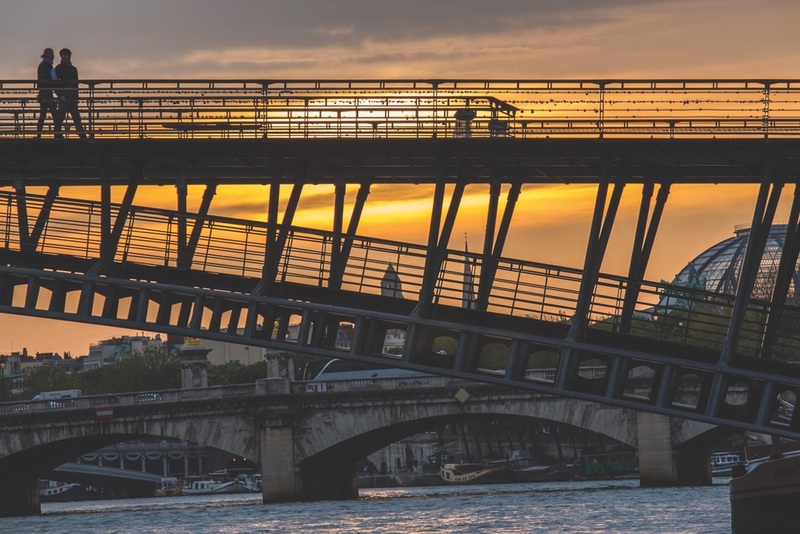 Bridges of all types have a way of garnering admiration for the architectural feats they exhibit as well as for the benefits and pleasures they provide. Enticing views compel more than a few to pause—or at least slow down—when traversing such distinctive monuments to civilization. 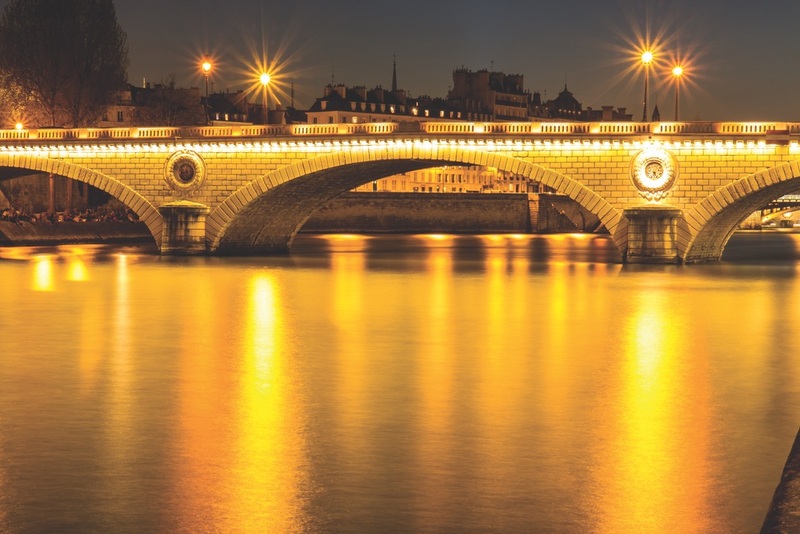 Spending over a year in Europe’s City of Light to observe, experience, photograph, research, and write about the thirty-seven bridges that cross the Seine River in Paris, Michael Saint James demonstrates in his recently published book, Bridges of Paris, that each one is worth getting to know. 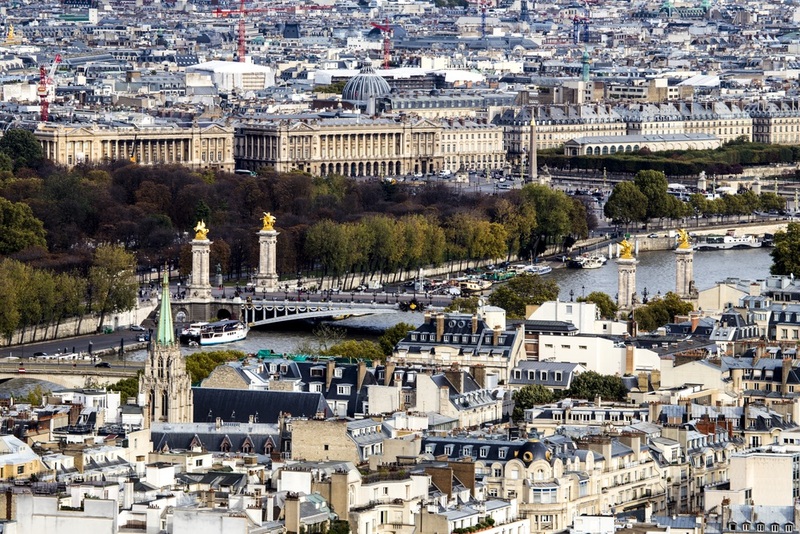 By taking his visual tour of the bridges, augmented with satellite maps and engaging essays, followers (including those who know Paris well) gain extraordinary perspectives of the city’s architecture, people, and culture, both past and present. The oversized coffee-table book—measuring fourteen by nine and one-half inches and containing 280 pages with 350 four-color photographs—resulted from three years of planning and creating, counting two extended stays in Paris. “I wanted to make the most beautiful book that I could,” says Michael, a contemporary Renaissance man with a résumé full of teaching and traveling, among other endeavors. “I’ve been a book designer for the past fifteen years.” He has also been a book packager who directs all facets of production. “When the Internet came of age, I watched the self-publishing industry boom and started my own imprint, Citron Bay Press.” Headquartered in the San Francisco Bay Area, where Michael resides with his wife of thirty-seven years, Diana, Citron Bay Press serves authors who want to publish quality books with beautiful imagery. 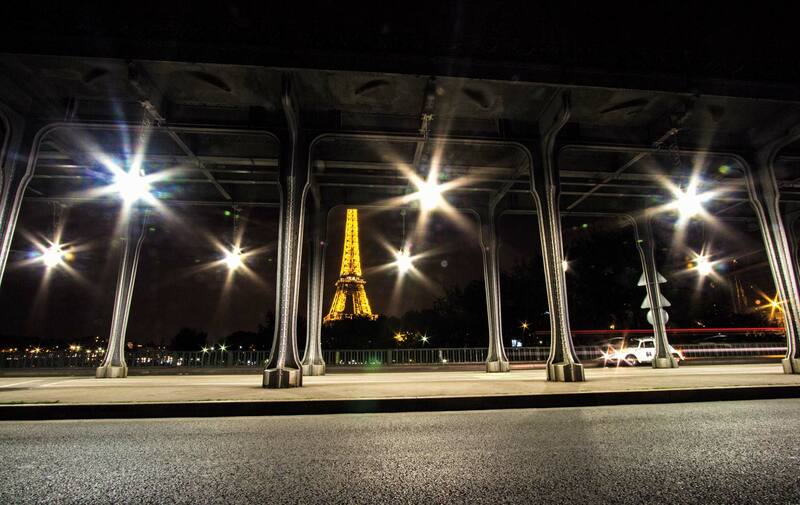 Without question, Bridges of Paris is visually stunning. “My goal was to create something special and a cut above,” says Michael. Details mattered. The larger format, for instance, provided ample space to showcase each photo—whether a close-up or a panoramic shot. “When I looked at other photography books, I noticed that a lot of the information got lost in the gutter—the center margin,” he says, indicating the care he took to avoid sacrificing any material elements. His sequence prompts a history lesson: “If you ask a Parisian which bridge is the oldest,” Michael writes, “she will point to Pont Neuf—a beautiful stone arched bridge on the downriver (west) side of the Île de la Cité.” Although Pont Neuf, completed in 1607 by King Henry IV, is the longest standing, its name, which means New Bridge, provides a clue that others came first. 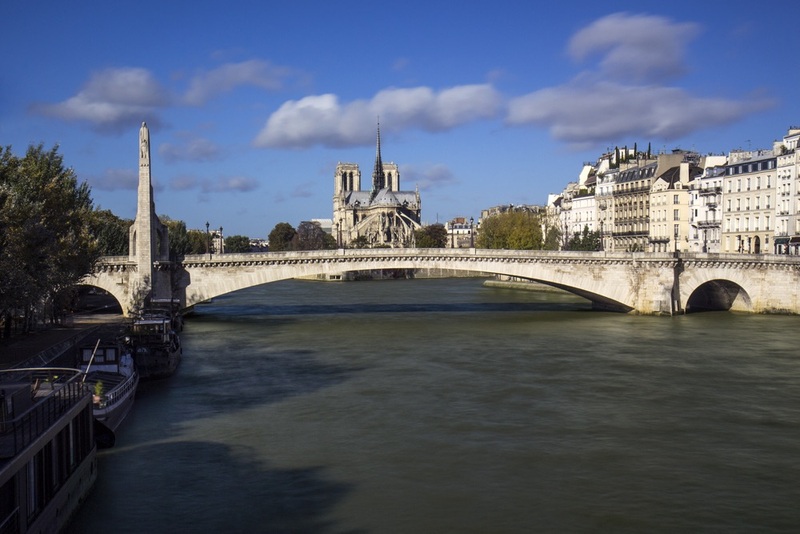 Michael is partial to Petit Pont but names the Passerelle Simone-de-Beauvoir as his second favorite. Completed in 2006, this one is reserved for pedestrians and cyclists. “It’s a beautiful, curvy bridge,” he says. Some rather unexpected moments of bridge magic materialized for Michael in the National Library of France, where he conducted much of his research. Initially delving into the bridges’ architectural backgrounds, he says, “Their histories told me about the sculptures, materials, and other details.” In finding tales of goddesses, spies, floods, kings, and more to entertain and enlighten readers, Michael says, “I wanted to make sure I was giving accurate information about Paris and the culture of each period.” Since accounts of certain events varied, he took extra steps to substantiate his content. “I was always looking for three sources that told me the same thing.” Editors also helped him fact-check and revise his words—to “make my voice better,” as Michael puts it. Identifying himself as an educator and a historian, Michael has taught art history and visual storytelling. “I have an expertise in Impressionism and Vincent van Gogh,” he says. (Interestingly, Van Gogh is the topic for Michael’s next book, a work of fiction.) He has also held jobs in film editing and sound recording and once owned a café in Berkley, California. 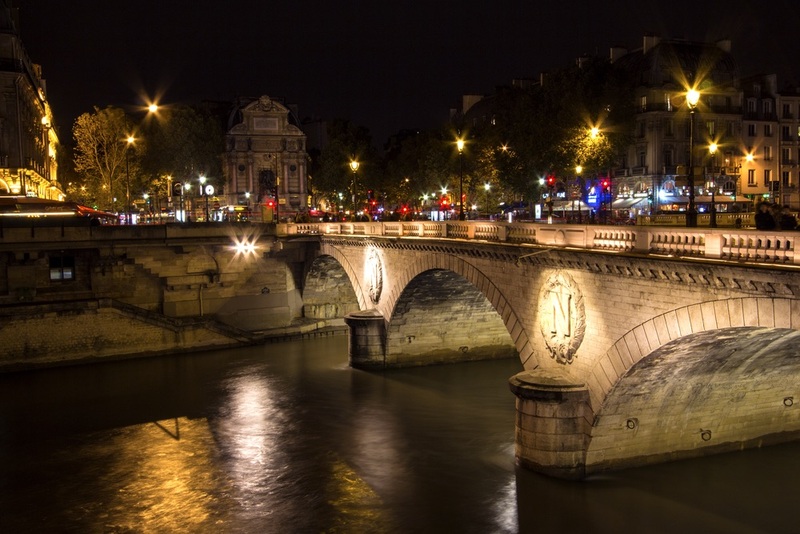 Bridges of Paris embodies many of his talents and insights. 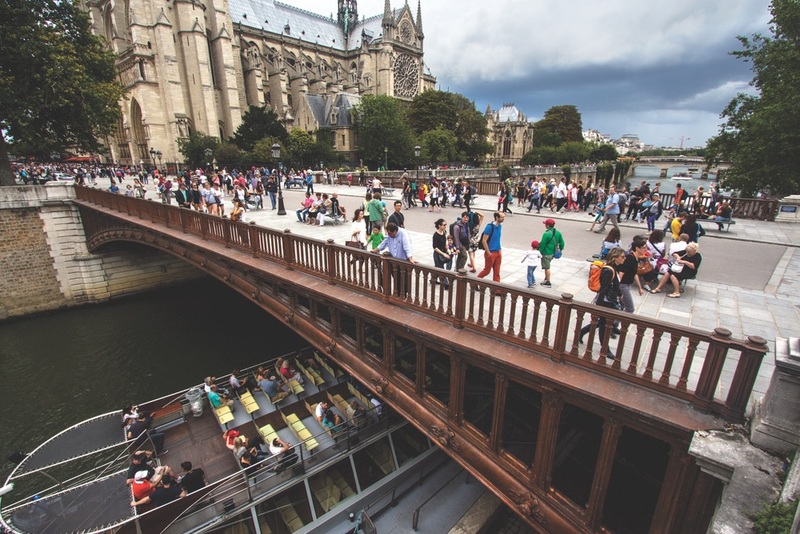 For those who want to see and read more, the Bridges of Paris website—www.bridgesofparis.com—offers generous previews of the book, reader reviews, online purchasing with free shipping, Michael’s contact for speaking engagements, and links to his blog, Parisian for a Year. The book is also available through Amazon.